After being a retirement consultant in the financial services industry for over 20 years, I often wonder if I am making a difference in the lives of people I come in contact with. Over the years I have taught retirement professionals about the tax benefits of retirement plans, the laws surrounding them and how to answer questions their clients ask. I have also given foresight of trends such as a time when a wave of individuals called the Baby Boomers will reshape the questions they ask about their retirement accounts because their lives will be transitioning to a new season. Thoughts of how to preserve the value of their hard earned retirement asset, passing on assets to their heirs and sustaining retirement income through retirement are new questions retirees are asking. Are retirement professionals equipped to answer those questions? Understanding retirement plan laws is more important today since we are no longer talking about a future event for a large population. For most, that time is now. From legacy planning, leveraging retirement accounts for future taxation and investing in nontraditional investments, these are some of the topics most retirement professionals are not equipped to answer. The investment appetites of retirees are also veering away from the common investments traditionally chosen such as stock bonds and mutual funds. The alternative investment market is rapidly growing because of the volatility and uncertainty of the securities market. Real estate, precious metals and other investments not typically available through traditional financial firms are now catching the eye of retirees because of their familiarity with these investments. At the same time financial organizations are being approached by these clients for guidance, these same financial organizations are also faced with the task of retaining and replacing employees who take this retirement plan knowledge with them as they leave an organization. 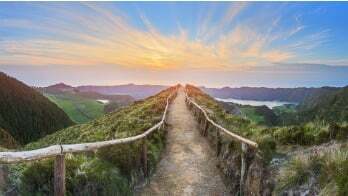 As a retirement consultant, I see retirement plan's education as a necessity for a financial organization' survival if they choose to stay competitive in the retirement plan' space. Although as retirement professionals, we cannot give direct advice and tell clients what to do, we have an opportunity to affect lives by increasing our knowledge to make sure that we are providing accurate information and direct these clients to resources that will help clients steer through the next season of their lives. 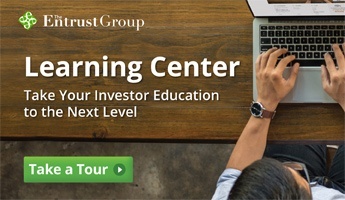 If you're interested in staying ahead in the retirement field, be sure to visit our Entrust Learning Center for educational resources for all types of investors.